Marsan. Wilson. Biel. Untitled film. 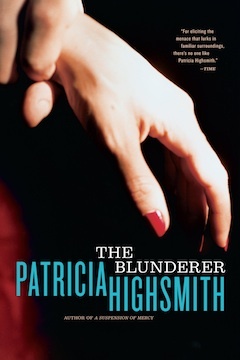 An untitled film based on Highsmith's The Blunderer is happening. Andy Goddard will direct, the film stars Eddie Marsan, Patrick Wilson and Jessica Biel. Highsmith's book deals with the story of Walter Stackhouse, for 2 years, Walter Stackhouse has been a faithful and supportive husband to his wife, Clara. She is distant and neurotic, and Walter finds himself harboring gruesome fantasies about her demise. When Clara’s dead body turns up at the bottom of a cliff Walter finds himself under intense scrutiny. He commits several blunders that claim his career and his reputation, cost him his friends, and eventually threaten his life.